Be interesting to see what other devices come out with Alexa in them. I just got notification that my Echo has shipped. When I get it I will order some dots. I hear good things about the mic pickups in Echo/Dot so I am going to stick with Amazon for the time being. Also, one would hope that the bigger they are, the better chance they have of staying in business and supporting the hardware. I had 5 Ubi devices and 2 years later only 1 works - but I don't do anything with it. I am happy for Alexa to be the voice interface for my WW system when it gets here. Actually, Alexa with some of Ubi's rules would be even better. Alexa is also supporting other devices I have, so feel pretty comfortable about going that route. Once bitten, twice shy. @ALL Can you give me your top 3 Alexa uses for Home Automation. As mentioned on another thread we had a great echo project come out of USC and we are currently working on our integration. We want to make sure we are covering all your use cases. 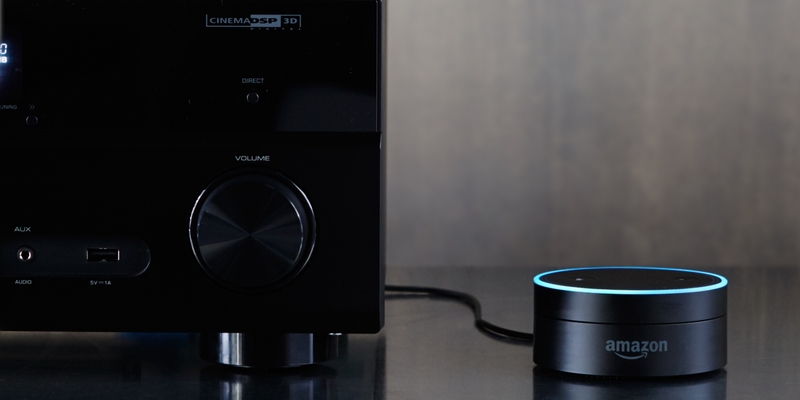 WigWag supports Alexa, using our APIs you can control supported light bulb's brightness, color and power. In this project the students added custom skills to allow users to further automate their environment using voice commands to create "when-then" rules. "Alexa, ask WigWag to turn the lights to warm white at 6pm every day"
If you have a mood named "Red filaments" which turns all the lights to red then "Alexa, ask WigWag to enable mood Red filaments at 7pm on Wednesday"
User: "Alexa, ask WigWag to setup a when-then rule"
Alexa: "Okay. WigWag is ready. Specify your when-then request"
User: "Alexa, ask WigWag when motion occurs then turn on patio light"
I don't think it's possible but I would love for the Echo to be able to give automatic voice notifications like the garage door is open, or front door is unlocked (basically a rule that says "if open for 5 min, then Echo notify), If that's not possible it would be nice to be able to ask Alexa the status of a device and have it tell if it is on/off/open/closed, etc.